Transfers are tomorrow and I'm being taken away from Kearny! I feel pretty sad about this. All these people here are in my heart and I'm gonna miss 'em. And I also am not going to be killing Sister Stevens. I'm really sad about that too...she's so awesome! But the Lord has a work for me to do, and this area doesn't need Sister Bentley right now! Yesterday my companion and I went to the care center to visit an older spanish lady, Dulce. She seriously is so sweet and we love to come visit her and sing and share a little scripture with her. Last Thursday we had tried to go and visit her, but she refused to let us sing, talk, or even give her a hug. So we sadly went away, with her kindof mad at the world (she's been in this care center for 10 years and feels very lonely). We decided to try her again. We came in, and she just had the biggest sweetest smile for us. We talked with her and I just had this feeling that I wanted her to know that we really did love her and that we do really love to sit and visit with her. We sang to her a couple of hymns, and then talked about the Holy Ghost. The Spirit was sooo strong and the feeling of love was strong too. Sometimes my companion will just stop and look at me to say something, and she did so in this visit. I had no idea what to say, so I just said the first thing that came to mind. I told her that we loved to just come and be in her presence, cuz we do. I don't remember much else of what I said, I think I bore my testimony of the Spirit. Then it was time for us to sing two more songs and then go. As I looked at Dulce, I realized that I didn't want to leave, i just wanted to stay here with her and ask her about her life. And then sing and sing. We sang two songs. and then I was like, "Dos mas! dos mas!" So we sang two more. And my companion saw two songs and we didn't know which one to sing, so we decided to sing both. Finally we said the prayer, and got up to go. This sweet woman can't walk, and is confined to a chair or bed for all her time now. Before we knew what she was doing, she had shakily gotten up from her wheelchair and stood and tried to take a couple of steps. It looked like she was going to try to walk us to the door of her room! But she just stood up for us cuz we were leaving. I was so overwhelmed! We hugged and kissed her cheek and helped her to sit back down. So, we left, with much love. I just want to take her home! That was an amazing experience. Really interesting that that was the last time that I would be seeing her. At least for now. I don't really know what else to say. I just see all the trials that all these people go through, like the Cuevas, Tania, Martha, Samantha...all these strong people who are going through the hardest things and we get to be the representatives of Christ who go to comfort, serve, teach, and love them just as Christ would. I get to have the honor of serving and loving these people; with that love, comes the pain of when they make wrong choices, the happiness when they are making good choices, and still seeing all they are going through. 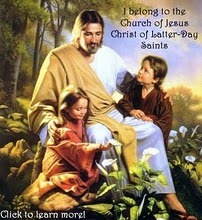 But the joy that comes from Heavenly Father and His Plan of Happiness, and Christ through His Atonement. It just makes everything unbelievably good and perfect. All will be made right through Christ. We just gotta work and believe. More like work to believe. I know Christ lives and that we may be made perfect through His Everlasting Atonement. So let's work and laugh and live!